One week down on my first IUI cycle. 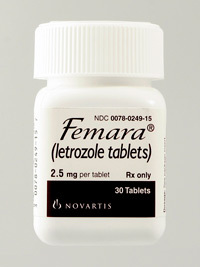 CD 8 – I had taken Letrozole 2.5 mg from CD 3 – 7 (5 days). I feel great, I feel normal. While taking the Letrozole I would say I had minimal side effects. The only side effect I noticed was increased emotional intensitiy. I wouldn’t say I was really moody but thing that normally aren’t a big deal, felt more like a big deal. I don’t usually cry.. I cried probably 3 out of 5 days, some may have been for decent reason, but still somewhat out of character for me. I felt slight discomfort here and there but it could have been “symptom spotting”. One morning on my way to work, medication day 3, I hit a pot hole. Instantly knew there was something majorly wrong, luckily there was a big drive way/parking lot right there so I pulled over. THE STEEL RIM BROKE IN HALF! wtf. My tires are brand new, less than a month. I was pissed. At least I knew how to change a tire so I quickly get to business and send a text off to my boss. The tiny jack that they put with the car didn’t work, It wont turn. I ask a couple of ladies about to bring their kids to school if they have a car jack, they don’t. I’m baffled as to how you can not have a jack at your house. So I call my hubby, who’s sleeping and hope he answers. He does and he’s less than helpful at first saying we only have a farm jack and doesn’t know if it will work “I don’t know what you want me to do” So I bust into hysterical tears and Hubby agrees to come try to help me. Hubby gets there with a REAL jack and problem is solved. I take the truck to work and he finishes changing the tire. I was only 7 minutes late! (I was going to be 30 minutes early to get stuff done). When things make me feel weak, I need to remind myself that I am not. I am resilient and creative. Within 24 hours I had replaced the rim (from a junk yard), gotten the tire fixed and the car aligned, total cost of $80. This could have easily cost much much more if I gave up and felt defeated. I even got to go to the dog park with my sister while I was waiting for it to get fixed. I’ve been feeling more stressed financially too. The list of expenses can just go on and on and on. “First world problems” I try to remind myself that I am doing OK, this is just temporary. There will be years of surplus and years of deficit. It’s nerve-wracking not knowing WHEN I’ll have the IUI, and praying it’s going to happen on my day off. I’m SOOO excited to get my blood test and ultrasound on CD 10 (Sunday). I don’t care that its going to be super early in the morning or that I have to drive 82 miles and cost me a few hundred dollars. I desperately want to know how many follicles I have, how mature they are. I’m really hoping for 2-3 but I don’t think that’s very common with low dose Letrozole. I also saw a certified nurse midwife here in town for an annual exam, my RE recommended I start seeing an OB/GYN as I’ve only been to my PCP for annual women’s exams. I told my RE that my goal is a home birth, and although she DOESN’T RECOMMEND IT. She wasn’t trying to scare me out of if, but said to be very careful on who to choose. So I thought the CNM in town would be my answer, but she wasn’t, she was helpful though. She doesn’t even do births but pawns you off to the hospital, she told me there is no way of knowing who will even be doing the delivery until that day (crazy/scary to me), she said that some hospitals make you come in at 37 weeks and induce you, and some hospitals “allow you to come laboring”. Yikes. So I told her I was looking for a more “natural, un-invasive birth”, I didn’t want to come out and say “home birth” for some reason. She picked up on it and said “home birth?” and told me about a couple of practices that specialize in that. Later that day I looked on the websites and emailed them asking if they work in my area (both are located 1+ hrs away) and they said yes! I’m trying not to put the cart before the horse, but I think it’s good to get an idea of whats going to happen before I get pregnant. I did almost buy a crib that was a really good deal but I stopped myself. I’ve been exercising pretty regularly, I’m finding it challenging to excercise after work. I’m gone for 12 hours of the day, I come home, eat dinner and go to bed. I should excersise before work but I have no motivation when I’m cozied up in bed. It’s too cold to walk on my break or I’ve been running over so my break has been getting cut short. Goals are Yoga 3 x per week and walking 2 miles every day. Last week I got in yoga 3 x and walking 3 x, so slacking a bit on the walking. I’ve been following my diet pretty well, had some “cheats” on valentine’s day chocolate covered strawberries and chocolate covered cheesecake bites! Disclosure: following links contain discount to you but also credit to me if you sign up. Dinner: Healthy meal from Green Chef or Sunbasket meal delivery (which I’ve been loving) with chia seed / flax-seed/ spirulina / Kiefer / pomegranate juice mix. Bed time: Mixed nuts Pumpkin seeds, almonds, walnuts and goji berries, red raspberry leaf tea (RRLT) with ginger, turmeric, cinnamon and melatonin. 20 min fertility meditation from YouTube. After ovulation I’ll add pineapple core for a few days, bone broth, switch from RRLT to dandelion root tea. CoQ10, Vitamin code Raw prenatal (contains folate, not folic acid), Fish oil, Baby Aspirin, Magnesium, Melatonin, Methylated b12 & b9 combo. My RE said that baby aspirin and the methylated b12/b9 are likely unnecessary. I purchased them during my last TWW before we had the chance to discuss the MTHFR mutation noted on my genetic screening. I have the 1286 mutation which is not the kind related to blood/heart problems or increased miscarriage. She said that taking them wouldn’t hurt but should discontinue the baby aspirin once I get a BFP.